Saab 900 1992 : In the Nordic markets Saab-Scania introduced the 2.1 litres engine (2,119cc), a fuel-injected engine developing 140hp. 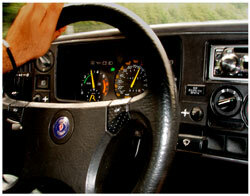 All Saab 900's were provided with more basic equipment. Anti-lock brakes became standard on all Saab 900's on Nordic, US and European markets. There was also an airbag available. For comfort, a new electrostatic compartment air filter was fitted. The Saab 900 now had the same electronically-adjustable front seats as the 9000 with the option of an electrically-adjustable drivers seat. The Saab 900s (light-pressure turbo) was fitted with alloy wheels as standard. 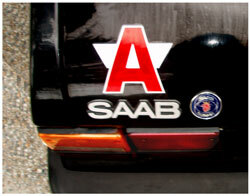 This year saw the assembly of the 40,000th Saab 900 Convertible. The model got a new spoiler that extended forward along the doors and was also available in Monte-Carlo yellow. Saab 900 1993 : 1993 was the last model year of the Saab that has since become known as the classic 900. "Classic" 900 production ended on 26 March, 1993, with the new Opel Vectra-based NG900 entering production shortly afterwards. The final classic convertibles were still sold in 1994, with the Special Edition commanding top dollar in the resale market even today. The last Saab 900 rolled off the production line with a "Imola Red" Saab 900 Aero which was driven straight to the Saab Museum in Trollhättan, Sweden. 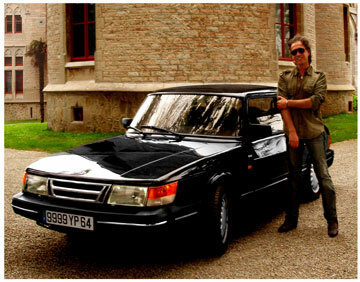 Overall 908,817 Saab 900s were built over the course of some 15 years, of which 48,888 were convertibles. 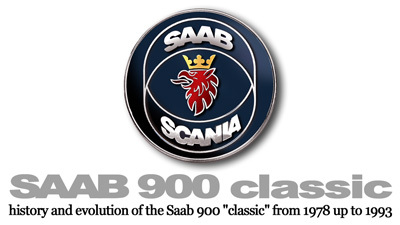 The 900 was the longest produced Saab. After an unprecedented 15-year success story, Saab's immortal 900 has been retired, paving the way for the arrival of its successor : the all-new, "mid-size" 1994 Saab 900.
: The Saab 900 Turbo was James Bond's vehicle of choice in many of the John Gardner Bond novels of the 1980s, beginning with "Licence Renewed". In the second novel, For Special Services, the 900 was dubbed the "Silver Beast". The car is James Bond's private vehicle that he had outfitted with various gadgets by the real-life company Communication Control Systems, Ltd. (CCS). In conjunction with the release of Licence Renewed, Saab had a real "Silver Beast" created that was virtually identical to the specifications in the book. The car is currently located at the Saab Museum in Trollhättan, Sweden. A Burgundy four door Saab 900-S appears in the film "Black Cadillac" starring Randy Quaide, in which three friends, after a wild night in a bar, find their Saab being chased by a mysterious black 1957 Cadillac.